The State Grid of China said that power could be partially restored on Saturday in the worst-hit region in the central province of Hunan, ending an eight-day blackout caused by heavy snow. "Many power facilities in Hunan were damaged due to repeated extreme weather changes," said Yin Jijun, who is charge of the public relations of the State Grid. "As the weather has deteriorated again, the regional power grid, in particular the southern grid in the province, is facing acute challenges." A new round of snow started to hit central, southern and eastern China on Friday, adding to the woes caused by previous snowfalls. Hunan has been one of the hardest-hit areas over the past three weeks. 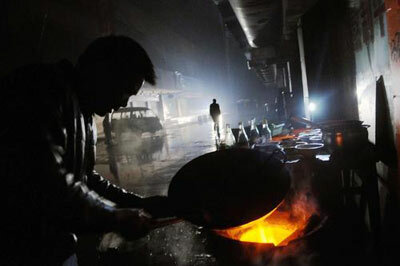 Power and water in Chenzhou, a city of 4 million, have been cut off during the past eight days, leaving thousands of households dark and cold. 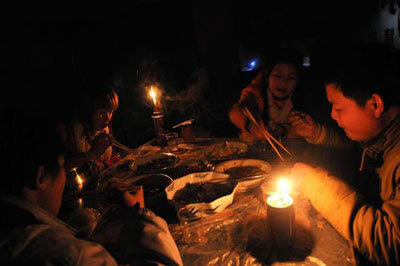 The cities of Hengyang and Yongzhou also experienced scattered blackouts. Yin said that State Grid was going all-out to ensure the soundness of the main power network in southern Hunan, especially in Chenzhou. "We will strive to partially restore electricity supplies in Chenzhou on Saturday," Yin said. 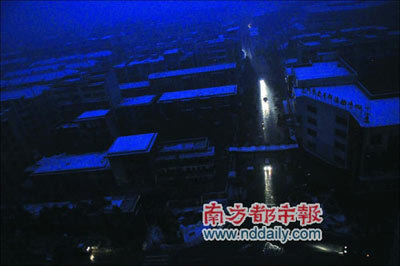 Chenzhou has become an "island" of darkness and cold as heavy snow cut power and water supplies and disrupted transportation. "My fondest wish right now is to have a hot shower," said 33-year-old Chenzhou resident Huang Junwen. "But this has become impossible." Cooking oil and vegetables were also running out, with prices surging. Bigger supermarkets in the city were closed. Residents were relying on fire engines for rationed drinking water and small balls of coal used for cooking were scarce. "I can't even withdraw money from an ATM because of the power cut-off," said Jiang Songbai, a migrant laborer who works in Chenzhou. A few power generators were being transported to Chenzhou via rail to restore the electricity at major public facilities and industries. More utility staff was being mobilized to relieve those who have been working for the past 20 days. About 600 workers from as far afield as the northern province of Shanxi were deployed to repair the main transmission line that links Hunan's capital of Changsha with the city of Chenzhou. About 5,000 workers have been repairing power lines in Chenzhou. Two employees of Chendian International Development, the major power supplier in Chenzhou, died on the job and two others have been seriously injured. The repair work can be dangerous even under the best of conditions. The workers must climb up power pylons to remove the ice from the transmission lines with hammers. Some soldiers have even resorted to shooting the power lines with submachine guns to shatter the ice. Iron has been shipped in from neighboring Hubei province to replace damaged power pylons. "This is the worst time now, but we are approaching the end of the bitter weather," Yin said. 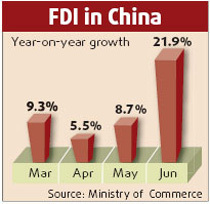 "We will try to restore power supplies in railways, public facilities and Chenzhou City proper. And our confidence in restoring power supply in most of Hunan is unabated." Chenzhou meteorological bureau reports said that the weather would not improve in the next five days. Premier Wen Jiabao flew to Hunan on Friday for the second time in a week, shortly after chairing a disaster relief meeting in Beijing.